Lovina beach is one of the famous beach vacation at north Bali. It lies approximately 10 km from Singaraja town. Lovina beach Bali tourist area is located at Buleleng district. 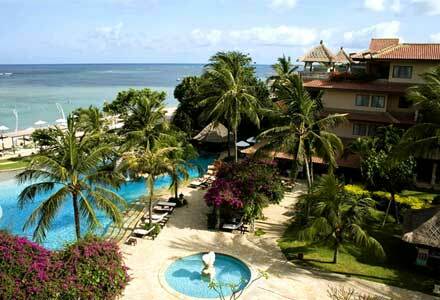 This Bali beach resorts is often visited by domestic and foreign tourists. A 5 meters dolphin statue was built at the Lovina beach entrance. Wild dolphins has become a tourist attraction and uniqueness of the beach vacation. The wild dolphins attraction usually started from early morning around 6 o’clock. 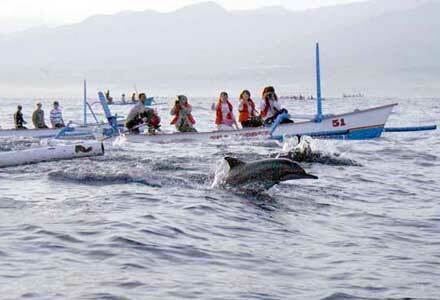 Tourists can watch the dolphins by rent a fishing boat that was widely available. There are many ships and boats lined up along this Bali beach coast. That boats usually used to take tourists to see the dolphins attractions. I recommend you to rent the boat on the previous evening so you able to bid and select the best one from may various boat at there. With a ship or boat, the tourists will delivered into the dolphins area. This wild dolphins attraction lasted about 1 hour. 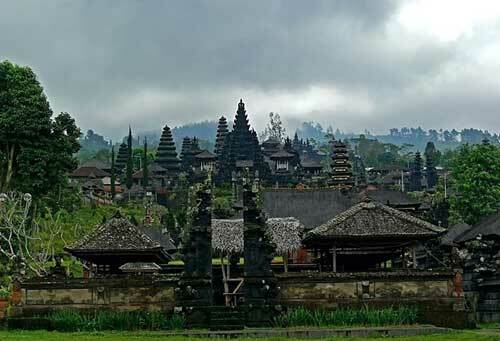 It’s interesting because this attraction can only be seen at Lovina beach Bali. Usually after seeing the dolphins, tourists will invited to visit the coral reefs location by the ship owner or the travel guide. 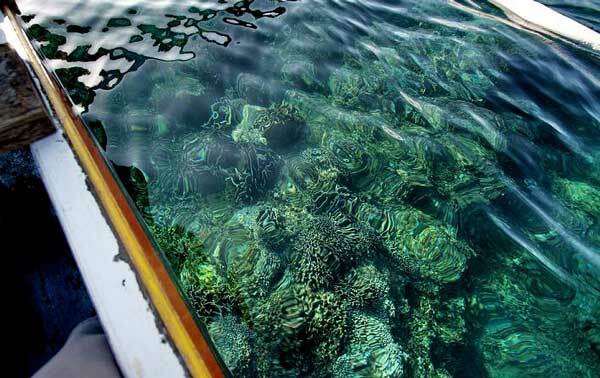 Tourists can see the coral reefs and various kinds of interesting fish from the boat. Providing food to the fish such as bread also can be done. Unfortunately, this beach is less suitable for sunbathing activities, but the beach is suitable for swimming, scuba diving, snorkeling, kayaking, or fishing. Different with Jimbaran beach or Nusa Dua beach, this beach has black sand. Another interesting point of this beach is its existence as a mountain-ocean. This beach is close to the mountain. Tourists can enjoy this interesting combination. The air feels so different, the mixing between the cool air mountain and the hot air from the beach. 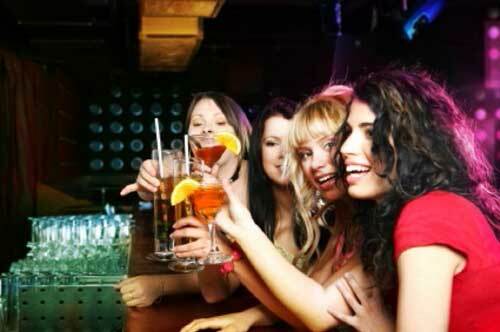 Tourist facilities like hotels and cottages are also widely available at this beach resorts. Some best hotel and accommodations near Lovina beach namely The Damai, Sunari Villas & Spa Hotel, Royal Residence Rangdu, and Agus Homestay. Restaurants, souvenir shops, transportation, and currency exchange services also available in this region. Thank you a lot for sharing the dolphin beach!